47 years ago today, “The Enterprise Incident” first aired on NBC. Writer Dorothy Fontana based her story on the ongoing “Pueblo Incident” news story in which North Korea had captured the U.S.S. Pueblo and was holding its crew, accusing them of spying. 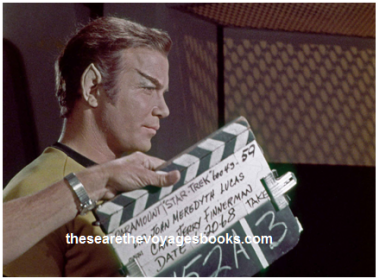 In the early drafts of the script, Dr. McCoy got an ear job along with Kirk, with both appeared to be Romulan. 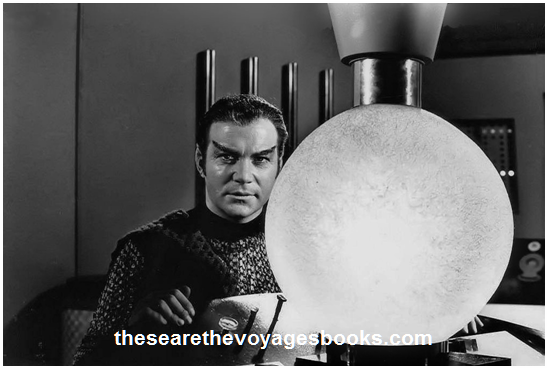 You can well imagine the comedy potential of McCoy, who always made fun of Spock’s pointed ears, now having a set of his own. I realize that Gene Roddenberry would like to have Kirk and McCoy wear pointed ears like Mr. Spock for its promotional value. But I seriously doubt that very many people outside of Paramount Television really give a damn whether or not Bill Shatner and DeForest Kelley have pointed ears in a show… I happen to agree with you that we are liable to get into comic-strip time with respect to having Captain Kirk and Dr. McCoy running around with ears…. [However], we should get suitable promotional value out of this show if we had a famous personality wearing the ears, as opposed to having Bill Shatner and DeForest Kelley wearing ears. For instance, James Mason with ears and/or Tony Curtis with ears would be promotable. Marlon Brando with ears would be promotable. John Wayne with ears would be promotable. Dean Martin or Frank Sinatra with ears. Jack Paar. Johnny Carson with ears. Lyndon Baines Johnson already has [big] ears, so let’s pass him over. 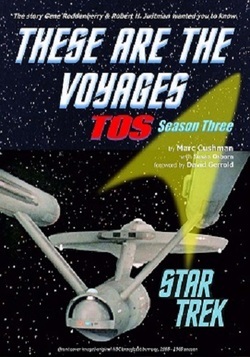 Read about the writing and the making of every episode of Star Trek’s turbulent third season in the new book, These Are The Voyages - TOS [The Original Series]: Season Three, by Marc Cushman..